Writers are in high demand everywhere, especially in the spheres of online business where every now and then we need content writers. Well, all sorts of writers, even the book writers, need some sort of Resume Template and cover letter in their work. A good template of such can make the work interesting and cool. 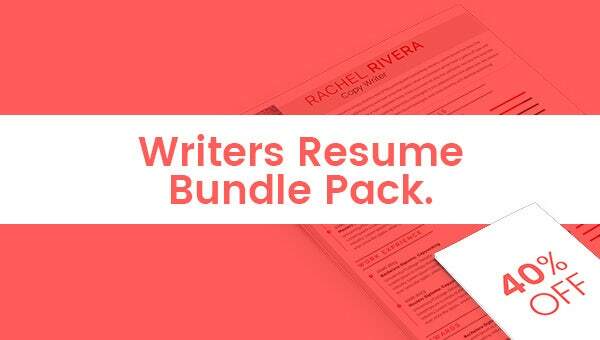 For that reason, we bring to you a vast range of writers resumes bundle templates. These templates have a resume and cover letters for tech writers, book writers, and copy writers. These templates are available in different styles and interesting patterns and the wonderful designs add to the beauty of these templates.